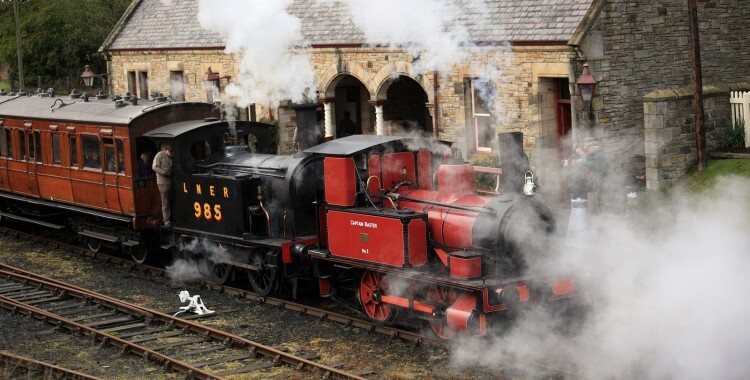 Portbury is going to Beamish! As announced on the Beamish Transport Online blog, in early 2015, Portbury is going further North than she has ever gone before. For the first part of the 2015 season, IW&D 34 will be the steam loco in use at Rowley station, part of the Beamish open air museum. As the loco was built for the war effort in 1917, it is an apt choice of motive power as the museum will be themed around the First World War during February half term. This entry was posted in S3 'Portbury' (Avonside No. 1764) and tagged 2015, beamish, Bristol Harbour Railway, museum, northumberland, portbury, rowley, shunter, steam locomotive, tour, uk by corwinb. Bookmark the permalink.